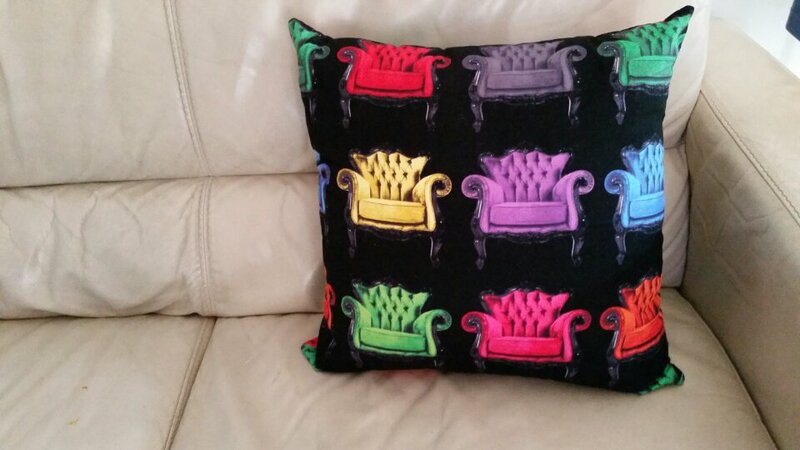 I made this cute cushion for the lounge after noticing my last remaining cushion was now a cream colour bordering on grey instead of it’s original crisp white. I simply googled ‘cushion with zip tutorial’ and followed the first result to http://www.heytherehome.com/how-to-make-a-zippered-pillow-cover/ and it worked. It’s not how I’d normally make a cushion. I’m so used to invisible zips that I was stumped for a few seconds (3.5 seconds). After a few unpicks, it worked! Oh, the cushion insert was a new, unused bed pillow. Just cut in half and sew the end shut. Et voila you have a cushion insert.